In a company, there are several departments of work. In spite of appointing skilled and expert professionals in each of the departments, you, as the head of the company need to check that the work is moving smoothly without any glitch in any departments. With so much to do at the workplace, transportation for conferences or meeting or other corporate events is the last thing that you would wish to ponder on. Isn’t it? Aligning your company with a corporate bus hire Sydney service provider can offer several benefits for your business. Star Coaches is one of the best providers of corporate bus hire in the Sydney region. For a seamless inquiry, booking, and transportation services, connect with the Star Coaches, a reliable and trusted partner for organized group transportation. Why should you align your company with Star Coaches Corporate bus hire service? The corporate world needs complete discipline and time, and money is the two most important factors in this arena. If the employees have to waste time travelling for official work like seminars, meetings or conferences, etc. the productivity of the employees are lost. Apart from time wastage, hiring many small vehicles for group travel will cost you more. Star Coaches makes your corporate group travel easy and effective. We offer reliable yet affordable corporate bus hire Sydney with an aim to cater to a wide range of transportation needs, large fleet and carry out this with ease. 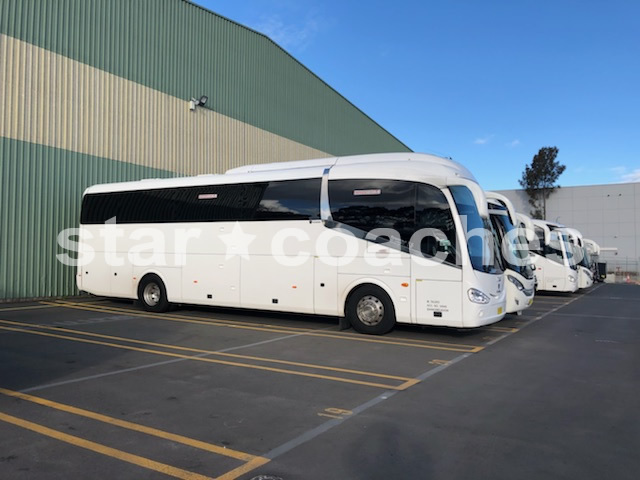 Whether an office party or any team building activity or airport transfers, Star Coaches is one of the most trusted Corporate bus hire Sydney service providers that make your corporate group travel successful and efficient. The comfort travelling makes your employees happy, and thus, you can expect more productivity without compromising on the quality work.